Fermilab users and employees can enjoy traditional ballroom dances at the GSA Winter Ball being held in Ida Noyes Hall. Dust off those tuxes and pull the tulle from storage. Fermilab's Graduate Student Association (GSA) has teamed up with the University of Chicago's Physical Sciences Division Social Committee to co-host a formal Winter Ball on Saturday evening, Feb. 25. 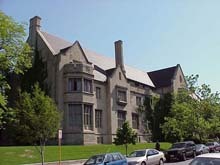 The ball will be held in the university's Ida Noyes Hall, Chicago. All Fermilab users and employees are welcome, and formal dress is preferred (dark suit for men and fancy dresses for women). The ball will begin with a Polonaise, a simple promenade-like dance for couples, and throughout the evening, dancers can enjoy the waltz, fox trot, cha cha, and many other traditional ballroom dances. Organizers encourage those who are shy about dancing to consider coming to at least enjoy the atmosphere and complimentary drinks and snacks. "When I was an undergrad at the Helsinki University of Technology, we had many formal dinner balls. I liked them and it was something I was missing here," said Tuula Maki, a graduate student at CDF who initiated the idea and has been one of the main event organizers. The Graduate Student Association's first Formal Winter Ball starts on Sat., Feb. 25, at 8 p.m. Tickets are $5 and are now on sale. There will be an optional pre-event dinner at Le Petite Folie Restaurant in Chicago at 6:00 p.m.; $42 per person covers the meal and gratuities. Dinner reservations need to be made by Wed., February 22 and availability is limited. To purchase tickets or make dinner reservations, please contact GSA representatives Leah Welty-Rieger, x3853 or lwelty@fnal.gov, or Tuula Maki, x8414 or tmaki@fnal.gov. 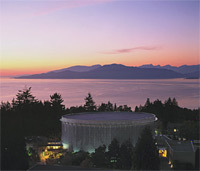 On behalf of the ALCPG and GDE, the Local Organizing Committee of the Vancouver Linear Collider Workshop, invites you to the July 2006 joint meeting of the American Linear Collider Physics Group and the International Linear Collider Global Design Effort--organized by TRIUMF on the Campus of the University of British Columbia, Vancouver, Canada, from Wednesday, July 19 to Sunday, July 23, at noon. GAINESVILLE, Fla. � A University of Florida physicist has been elected as the leader of the largest active high energy experiment in the world. 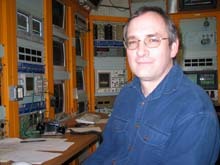 Jacobo Konigsberg will head the Collider Detector at Fermilab (CDF) collaboration for the next two years. The CDF international experimental collaboration is committed to studying high energy particle collisions at the world�s highest energy particle accelerator, near Chicago. The goal is to discover the identity and properties of the particles that make up the universe and to understand the forces and interactions between those particles. Konigsberg�s formal title is spokes-person. More antiprotons are flowing through the Accumulator than ever before; the antiproton stacking rate shot up to a new high of 20 milliamps per hour last Friday, and has averaged 17-18 milliamps per hour since then. "What that means is that we will be able to accumulate more antiprotons faster to deliver to the Recycler storage ring," said Keith Gollwitzer, head of the Antiproton Source Department in the Accelerator Division. "It's historical, when you have more antiprotons delivered from the Recycler to the Tevatron, you wind up with a higher luminosity." 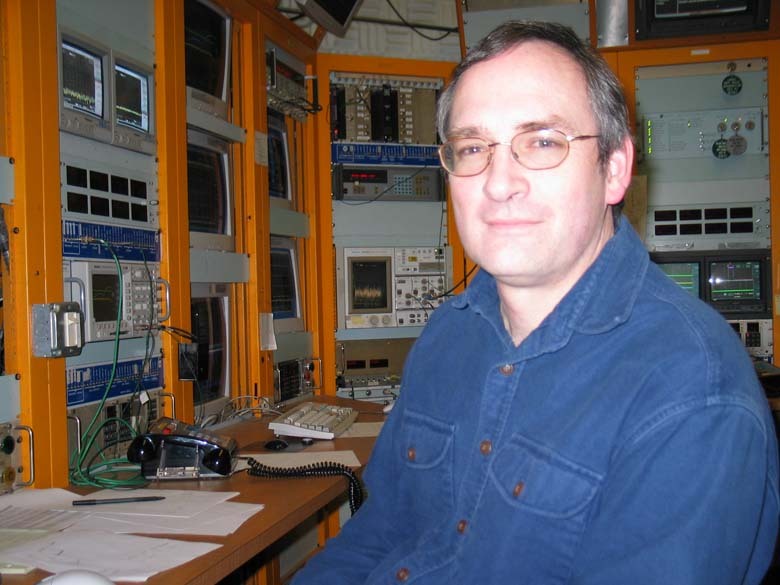 According to Gollwitzer, the Antiproton Source Department took advantage of the Tevatron's unexpected shutdown in late December and early January to revamp the Antiproton Source--and that's what jump started the rapid accumulation of antiprotons. "The Tevatron failures allowed us the time to do some basic studies," he said. "These studies helped us increase the amount of the antiproton beam getting into the machine." Further studies done last week revealed a better way to cool the beam in order to stack antiprotons in the ideal position: "The key was to change our setup on the core cooling system," said Gollwitzer. "Cooling the antiprotons more efficiently allowed more flux of antiprotons into the space where we want them." The increased delivery and efficient cooling of antiprotons has lead to a stacking rate that's bound to have a profound effect on luminosity in the Tevatron. But Gollwitzer was careful to mention other major contributions. "We could never have done this without a consistent supply of protons delivered to the production target due to work done by the Accelerator Division's Antiproton Stacking Rapid Response Team," he said. "This is really an amazing achievement, and it's the result of efforts from many people here at the lab." Heartland Blood Centers will conduct the Fermilab Blood Drive on February 20 and 21 from 8:00 a.m. to 2:00 p.m. in the Wilson Hall Ground Floor NE Training Room. Appointments can be scheduled on the web or by calling Lori at x6615. Chicago Blackhawks discount tickets for the March 15, March 29 and April 16 games are half off. Tickets are for the 300 level. Order forms can be found in the Recreation Office or on the website.